The breath has helped me move through long buried emotions and trauma. When I try to exert control over outside conditions, my mind speeds up, I feel anxious and fearful, and I create false scenarios of doom and destruction. My biggest savior to this downward spiral has been breathing. Lying down, putting on some music, and beginning to breathe. Breathing in and out of my mouth. Taking in as much oxygen as possible, with no gaps between the inhalation and the exhalation. In the past, I have resorted to other means of dealing with this anxiety of my mind. Alcohol, drugs, and excessive exercising were some of my favorites. Today I have given all these other methods up, as they didn’t really work. What are some of the methods you use to quiet the mind? Do they serve you? Do they actually help or make things worse? In the past I was running away from feelings, trying to avoid the internal chaos. Breathing helps me move through the feelings and chaos. It sounds so simple, and it is. Through breath work my life has transformed. I used to be ready to defend myself at any moment. Really. Inside my body, I felt surges of adrenalin, as if an attacker was about to kill me. I was always on high alert, ready to pounce into action. The excessive exercise kept this adrenalin rolling at high levels all the time. I was addicted to it and almost felt like I needed it to survive. Eighteen months ago I began conscious connected breath work. From my very first session I was hooked. This was better than drugs. As a result of my breathing, all of my unconscious buried cellular emotion started to surface. Unpleasant blacked out memories from childhood, traumatic experiences—they all came rushing back. It became very clear then what I had been running from. I didn’t want to face those painful feelings. I made a commitment to myself, however, that I would continue to show up. I dropped the story. I dropped any goal of “fixing” myself and just let go. I decided I would be willing to lie down for an hour and breathe. Whatever happened from there was what needed to happen. I dropped the “poor me” drama that this horrible trauma had happened to me and instead, I felt it. The terror, the anger, and the pain became my companions. Welcoming them in with open arms, I breathed through them—and they passed. I stopped, turned around, looked straight at these feelings, and took my power back. Today, I am not on the run any more. My body doesn’t shake like it used to, and my legs aren’t constantly twitching up and down. I know now that when my mind starts to create drama, I can lie down and breathe. The clarity comes, the peace comes, and the feelings pass. I allow them, without trying to make them be any different. Is there something you are on the run from? Childhood abuse? A traumatic incident? Relationship heartbreak? What would happen if you faced it? What if the resistance to facing and feeling what you are avoiding is actually worse than going through it? What if under the mental obsession is fear, and under the fear is freedom? The obsessions of the mind are not real. They are fantasies created to take up mental space. Like watching a soap opera on TV, it takes us out of reality. It is a distraction. What if you decided to turn off the TV in your mind that is creating false dramas to keep it entertained and distracted? What would be in the space without the constant stream of mental soap operas? What I have found in this space is presence, peace, and grace. The feeling that everything is okay right here and now. Right here and now is all there is. I live in Bali and have an early morning 4:00am routine that consists of making a cup of coffee, writing, breathing, meditating, and praying. I honor the ancestors, then I drive on my motorbike to yoga and practice being present in the moment as I drive. Breathing with awareness helps me to be here now. It snaps me back into the moment. I notice and watch the sunrise. The early morning Balinese action is all happening on my way to yoga. The women making their offerings on the street, the children on their way to school, the dogs and chickens in the road, the men on their way to work in the rice paddies, and the local market buzzing with action—I take all this in as I drive. These moments matter. This is what I love about my life here in Bali. The everyday moments of life as they unfold. When in the present, gratitude erupts. Smiling inside, I feel whole, complete, and nothing else really matters. Breathing on my scooter, on a bus, while waiting in a line, I take five conscience breaths. Sometimes I count to five on the inhalation and count to five on the exhalation. This breathing practice comes with me everywhere I go. We all have the gift of breath. Use it. Become conscious of it. Turn off the mental TV and see what is truly there: A stunning sunset. Colourful flowers. Birds soaring. A happy child smiling. These moments are like snapshots that will never again be repeated. Missing these moments is missing life. Today we have a conscious choice to wake up out of the fog, to wipe off the lenses, and see through the haze. The breath is our anchor. Use it to connect, to breathe through feelings without having to change them. Breathe into the emotions that scare you and allow them to come. Welcome them with open arms, and they will pass. The only way out is through, opening the doorway to presence and freedom. Breathing is our ticket in to the present, our passage through the buried trauma of the past, and our vehicle to process difficult emotions. 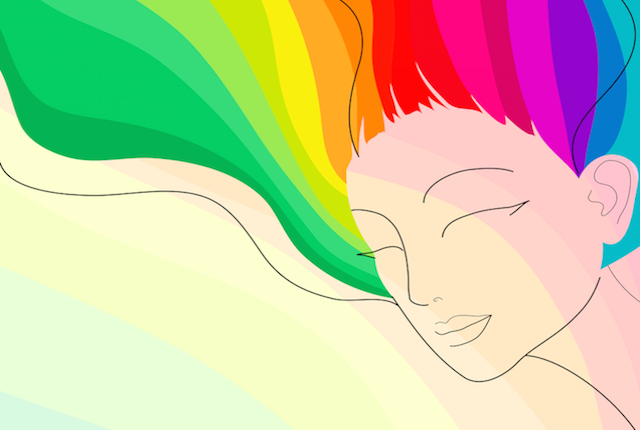 Conscious breathing is a life changer, accessible to all, and you can begin right now.